NHS Anti-Swindle Team! Privatisation Vox Pops from Ray Malone on Vimeo. 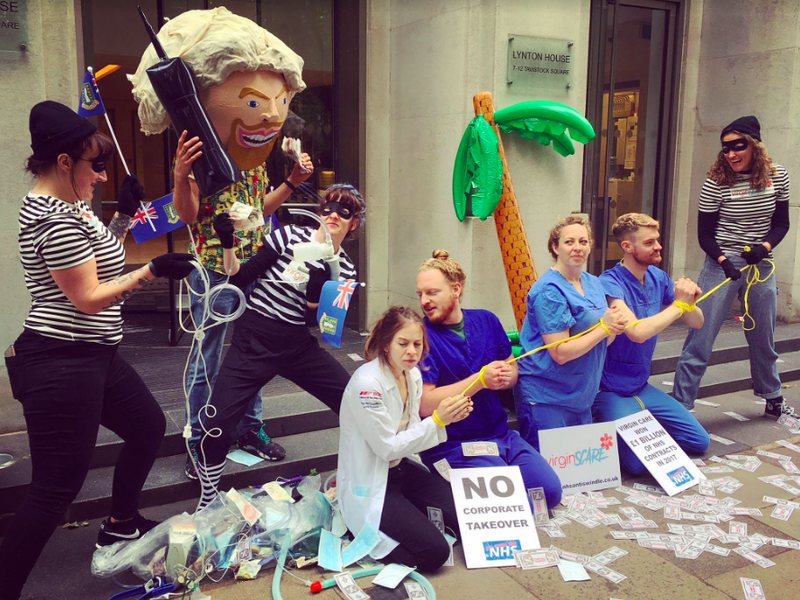 On Friday 25th May at 8am Protesters from NHS Anti-Swindle Team, Docs Not Cops, ACT UP LONDON and other allied groups dressed as robbers, nurses, doctors, a GP Surgery and Richard Branson and staged a privatisation fresco outside the Virgin Care office. The Virgin Scare Loot Squad arrived with bags of swag to their boss Branson at Virgin Scare office in central London. They had stolen hospitals, GP surgeries, lucrative contracts, medical equipment, patients, doctors and nurses from the NHS. The use of legal tax havens and complex tax systems by Virgin Care Services Ltd. The 2014 Immigration Act which charges certain migrants for NHS treatment and discriminates against people who need care. In 2017 Richard Branson’s Virgin Care won a record £1bn of NHS contracts. Virgin’s £1bn haul means it now has over 400 separate NHS contracts. In 2017 Virgin Care Ltd sued the NHS for losing an £82 million contract for children’s services in Surrey as well as Virgin Care Ltd paying no corporation tax in the UK. They received at least £328,000 but the final payment may be as high as 2 million pounds, if the other five commissioning groups are taken into account. A petition signed by over 75,000 people have asked for the money to be returned immediately. Docs Not Cops believe that healthcare is a human right and that no one should be afraid to go to the doctor, either because they can’t pay or might be punished. We are doctors, nurses, HIV activists, students, teachers, and laypeople. 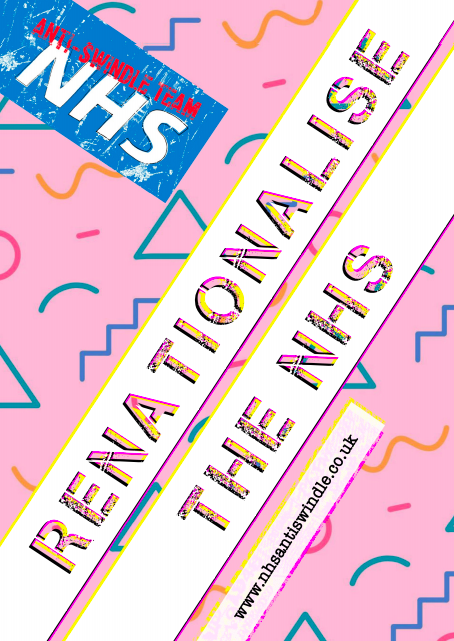 Together we want to fight xenophobia and the dismantling of the NHS – http://www.docsnotcops.co.uk. Previous Post Enjoyed ‘120 BPM’ and want to get involved? 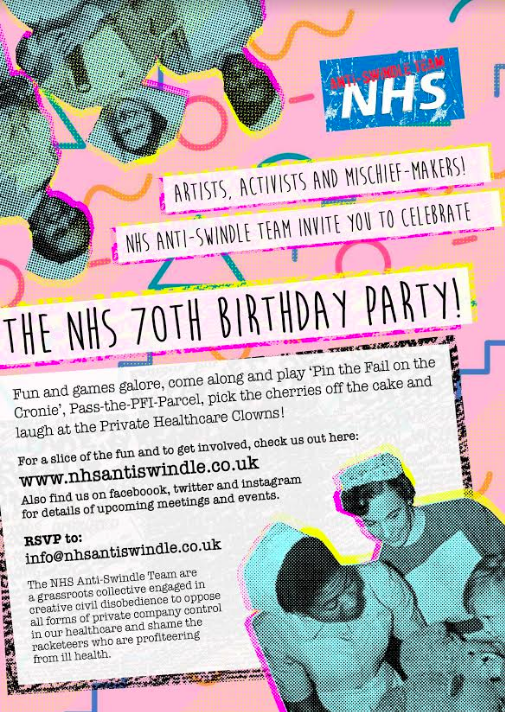 Join the NHS Anti-Swindle Team – May 1st!